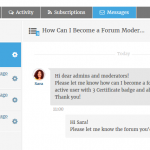 wpForo Private Messages addon provides a safe and professional way to communicate directly with other members of the discussion forum. 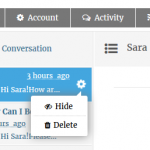 Messages you send and receive via PM are private and can only be viewed by you and the forum member you’re corresponding with. 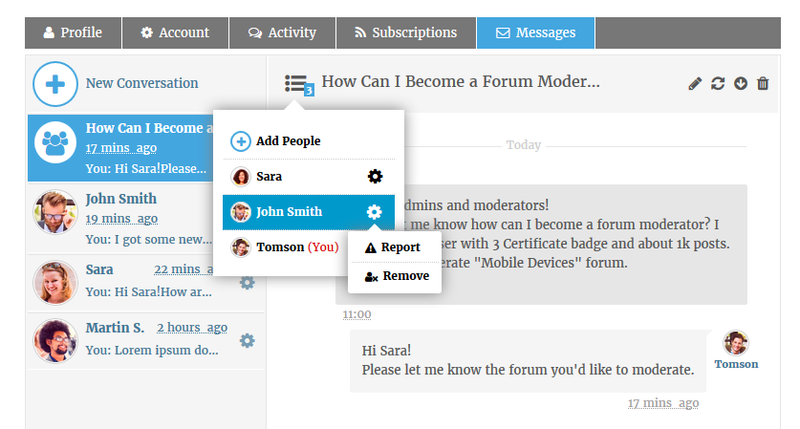 wpForo Private Messages supports both conversations with a single person or with a group within the forum system. 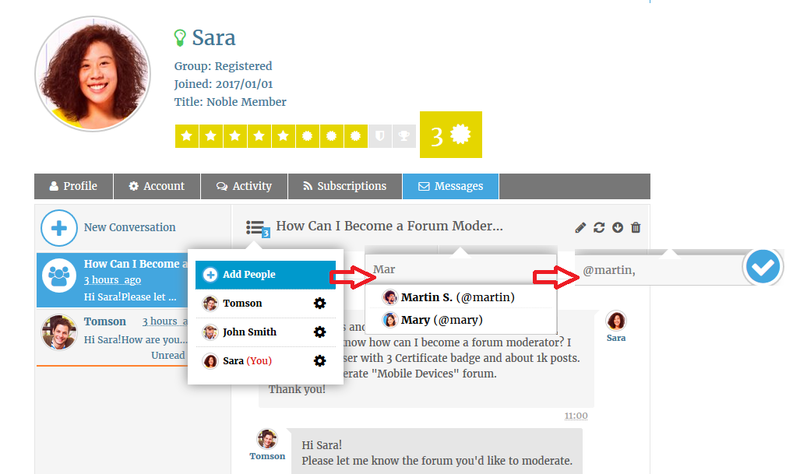 Conversations are like email but stored within the forum system and addressed by User Name (nickname). They do not reveal any personal information beyond your User Name. User can send or view messages on My Profile > Messages page. 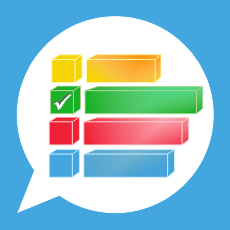 List of all contacts and conversations in Messages page. 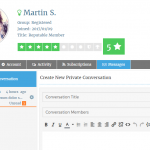 Supports both conversations with a single person or with a group within the forum system. AJAX powered message loading system when user scrolls conversation messages. 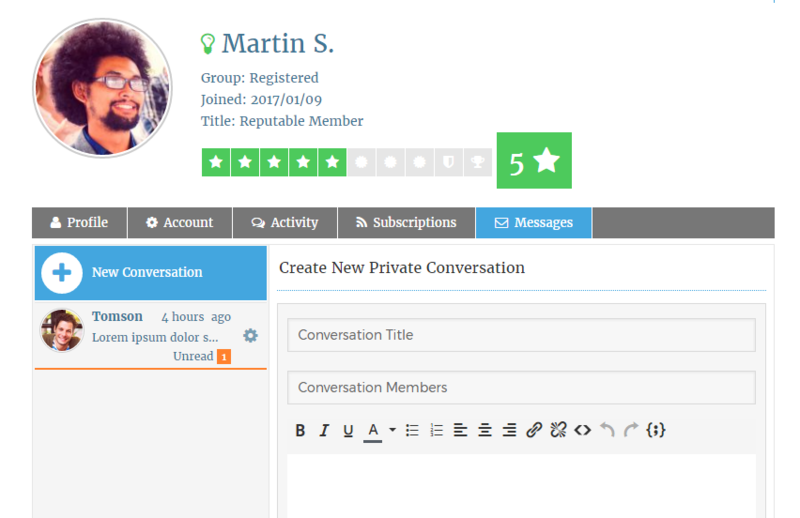 Send Message icon with user information on Members list and on Post list. 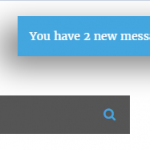 When user receive a private message, it will be noted at the top right pop-up of a forum page. When user send a private message, the other member(s) will receive a notification but they must open the message to read it. 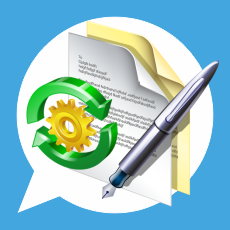 Added: Attached file owner control. Added: Emoji picker in message editor toolbar. 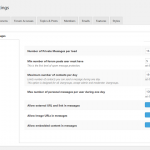 Optimized: Email notification header configuration. Conversation emails with BCC. Added: Font Awesome 5, compatible with wpForo 1.4.6 and higher. Added: Better responsive design. Mobile friendly UX. 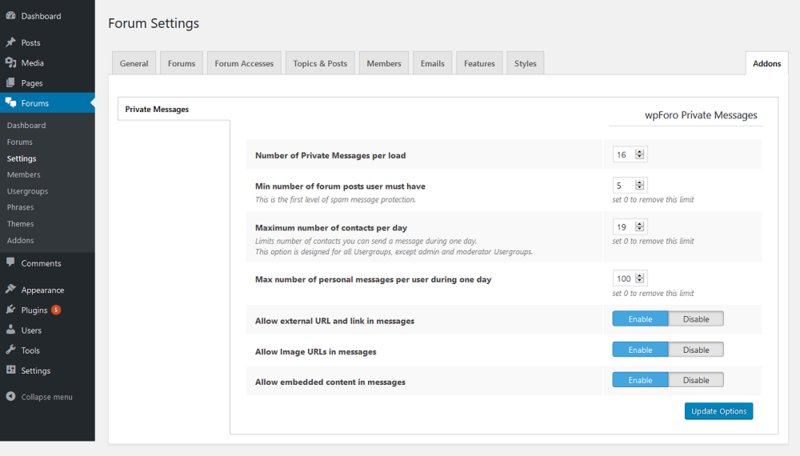 Added: New layout for private messaging screen, dynamic contact list (open/close). Added: Filters new conversation member search based on Usergroup permissions. Fixed Bug: Can’t send notification email. Fixed Bug: First message sent problem. Only works on second try. 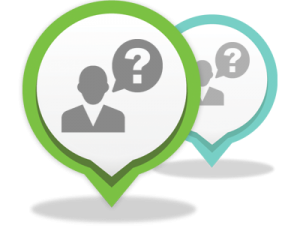 (1) Are PM’s complete forum topics or can a single reply in a thread be private? 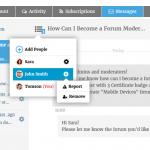 (2.a) a Foro PM viewed on blog page by Discuz. (3) Does one require both Foro and Discus Private Messaging Add-Ons when Cross Posting. 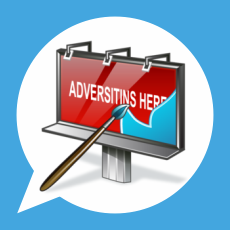 This add-on allows communicating directly with other members of the forum. It doesn’t have a relation to topics or posts creation process. I have to renew this plugin every year? I bought it and now it is disabled and asks me to renew. What? This aren’t good news. Is this normal? So, my better question is: Can I translate the addon? This is so important for my site. Please could you advise if the following is possible. We are running a forum with vulnerable people and so can only allow 1-1 conversations where both parties have agreed. Please open a support topic in gVectors Support forum. This is the pre-sale discussion area. Just a small note. Please set 0 the “Min number of forum posts user must have” option in Dashboard > Forums > Settings > Addons Tab > Private Messages Sub-Tab. This is a part of antispam protection. Since I have not bought it yet it assumed it was pre=sales! You have answered similar questions in this page before. 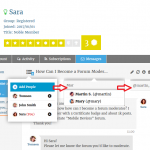 Perhaps what I am asking is possible by creating a new group for each pair of users? You can create new conversation and add users in that. 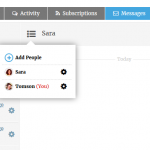 You can choose users to add and remove from that conversation. Also, users can block other users who try to connect via private messages and conversations. 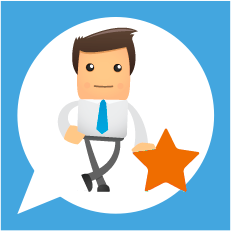 I’d recommend register in demo forum and test the Private Messages. 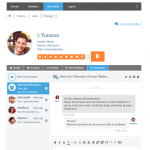 Create new conversation and check all features. Thank you for your interest in the wpForo and for contacting us. Please try one more time. Now everything will work fine. I have a question. 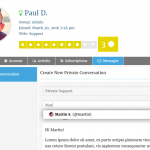 Send the plugin add-on also a message to BuddyPress like when a post post by a member? 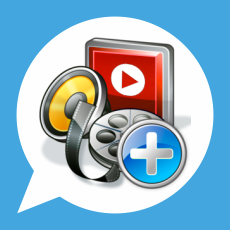 1- How can I find documentations about RTL support and translations? 2-As I need this addon for a RTL lang (Persian/Farsi), is this possible to have a trial version to test the RTL features before buying the product? Thank you for interested in wpForo and wpForo add-ons. Hi, I paid for this days ago and it still doesn’t appear on my site. What should I do? 2. 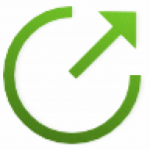 Navigate to Dashboard > Plugins > Add new and upload addon ZIP file, then activate it. 4. It’ll ask you to activate with license key you got via email or in your account page, just insert the key and activate it. 5. 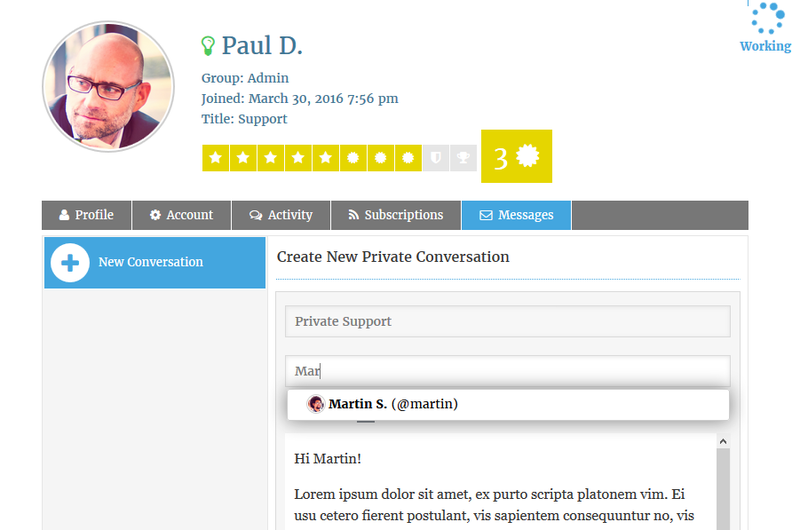 On forum front-end you can manage private messages in My Profile > Messages page. Hi, I haven’t found info. Can it be translated like wpForo with Phrases? Yes, it should. 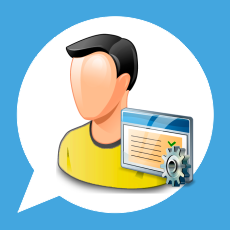 Just search for any PM phrase in Forums > Phrases admin page, edit and translate it. if you don’t find a phrase, click on Add new button and add it. The Key should be identical English version, the value is the translated version. All our products subject to yearly license for future updates. You’ll be able to update addons for one year. After this you’ll be able to use the addon for unlimited time without new version updates. Can I set this up so that only a certain usergroup can have access to messaging? For example, I don’t want my usergroup ‘free members’ to be able to use messaging at all, but I do want my usergroup ‘paid members’ to be able to use it. Sure, wpForo has an advanced Usergroup permission settings. You just need to edit certain Usergroup in Dashboard > Forums > Usergroups admin page and enable/disable the “Front – Can write PM” option. When searching for a member to message, does the autocomplete lists etc. filter out members who can’t private message? 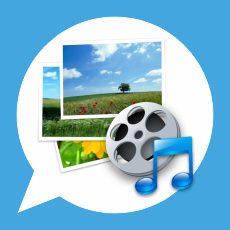 All buttons and features to send message to Alice will be available for Bob. He can send message to Alice using all available methods in this addon. I will have a forum with more than 300 members and I want to be able to create a user group within these and select around 100 of them, and send some private messages only to this group. Not a conversation, but a one-sided, private announcement to each one of them seperately as an admin. Is this possible to do with the plug in? I’m sorry but wpForo PM doesn’t have feature to send private messages to all membes of certain usergroup. You can select members but not usergroups. This is already in our to-do list, but it’ll be available by end of this month. I’ll update here once the new version with this feature is released. Hi. Is this released now? I’m sorry but not yet. We’ll do our best to add it in next release. I have no ET yet. I just purchased the plugin licences, and I am needing this feature as well. As this post is over 2 years old now. I am hoping this feature has been added already, but i can’t seem where and how to do this. P.S. All non pre-sale questions should be discussed in the support forum not here. Really need this functionality. I’m about to buy the plugin along others. Keeping my fingers crossed its about to be released. Hi, I realise the price is for one year support, but we are trying to keep the cost down. If we buy any of your plugins, can we just use them longer than 365 days, they just wont be updated? Will this cause us problems? 365 days are only for updates. You can use the last (within 365 days) downloaded version forever as long as it compatible with wpDiscuz and WordPress updates..
Hi, if I want to update from the 1 license to the 3 license in the future, do I just pay the difference? I’m really sorry but there is no way to update Single Site License to 3 Site License. However we can give you a coupon code for 35% discount so the 3 site license price will be discounted to approx $35(single site license price), just contact us for farther details. Hi. Considering buying this for my tiny (<50 users) forum. Can you tell me if it is possible for an admin to PM all users at once using this addon? I’m sorry but there is not yet. You should increase the maximum conversation participants number to 50 in settings then select all users one by one and send PM. Are there any push addons that work with wpForo and the wpForo Private Messages addon? Would be awesome to know if someone has replied to a conversation I’ve started, or if I’ve been invited into a conversation. 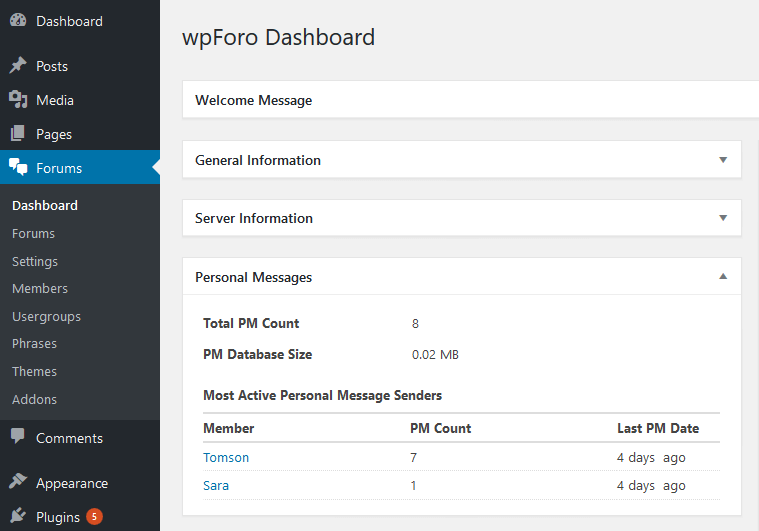 We just released wpForo PM 1.0.1 version. It comes with New M Email Notification functions. All Users will be notified via emails once they got some PM. With the Single Site license, can I also use it on a staging site for testing purposes while I have it on a live site? The main site and the staging site should be under the same domain name. For example a.com and staging.a.com. However it’s better to not activate the addon on staging sites. It’ll work fine till next version release. Thanks. Unfortunately, the staging site is under the wpstagecoach domain. I may simply purchase the 3 site license since I really don’t want any hiccups. Where can I add ticket? Hi, is it $35 per year? Also, can you confirm i have correct version of WPforo installed (i have latest version). Yes, this price is for one year. 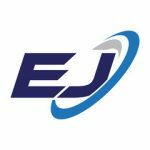 The renewal license will be provided with 20%-30% discount once the current license is expired. But you can continue to use it after 365 days. However you’ll not be able to update it when new versions are released. And yes, your forum version is correct, you’re using wpForo 1.1.2 version. wpForo PM should be installed with wpForo 1.1.2 and higher versions. 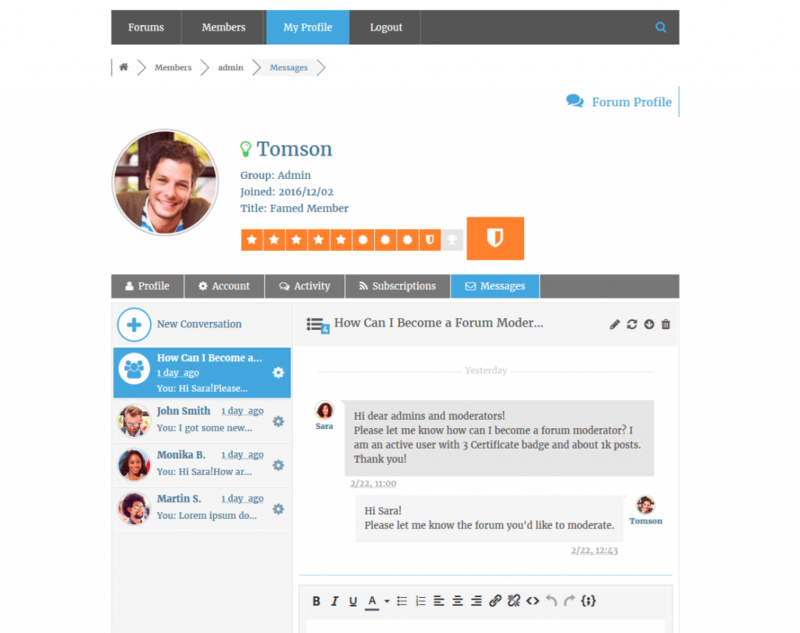 Does the PM system function via front end or will the subscribers need access to the dashboard? 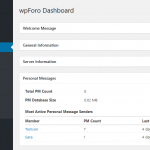 When I installed WP foro all my subscribers were routed via the dashboard after logging in until I installed a plugin to re-route them to my home page after log in. I also installed another plugin to only allow me dashboard access as admin (not subscribers). I would like a PM system but only one that is fully functioning with front end access only. Sure, the PM is a front-end messaging system, user have no access to dashboard. Please read the description and see the screenshotes in Screanshots tab, all are already explained and shown here.